As an organisation, we firmly believe that trust is right at the foundation of the survival and success of any business. Without trust, there can be no sustainable business. Trust is invariably the critical component in enhancing business relationships. The moment an organisation is not trusted by a client, the chances for success within the company are dramatically diminished. 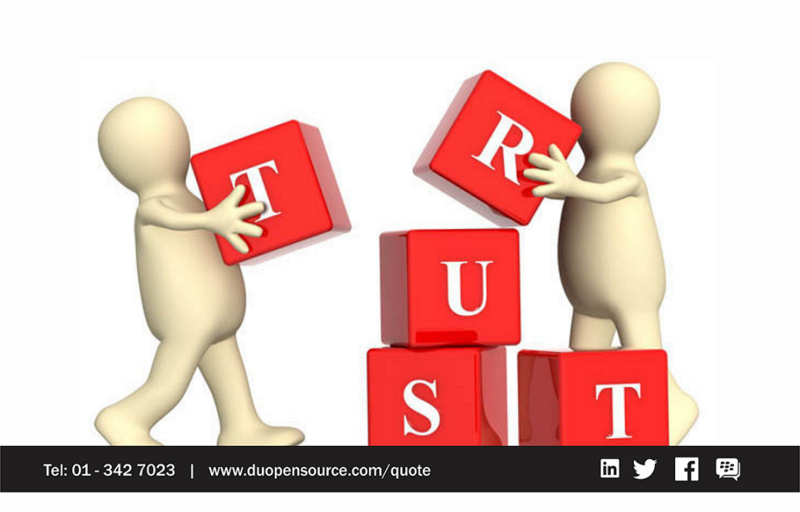 Business relationships that have been built on trust are an important sustainable competitive advantage because trust is so valuable and so rare. There are certain components of trust that every client, customer or other stakeholder in your business looks for in doing business with you. There are several levels of trust. Technical competence and know-how. Clients and customers are looking for people or companies whose level of competence inspires trust. A statement such as “Just trust us or give us the benefit of doubt!” is woefully inadequate in today’s competition. There is an obligation and a duty for you/company to provide specific explanations that are clear and concise and not overly simplistic. Ethical conduct and character. Your reputation and that of your company are paramount, and your honesty and integrity must be impeccable. Interpersonal skills and relationship. You must ensure that your clients and customers believe that if they tell you something about themselves, their business or any sensitive information, you will handle it with the utmost respect and confidentiality. Be transparent and open in your business relationship. A lack of transparency will make you much more vulnerable to damaging your business relationship. Avoid sharp practice, don’t cut corners. You receive referrals for more business once it is established you are transparent and open. Be a “person of your word” and holding yourself accountable in all actions within your business relationships.